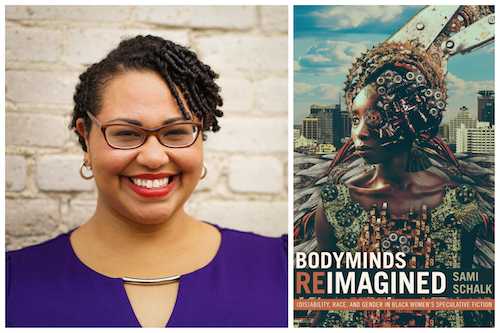 Come celebrate the official release of Dr. Sami Schalk’s first monograph, Bodyminds Reimagined: (Dis)ability, Race, and Gender in Black Women’s Speculative Fiction, published by Duke University Press. A Room of One’s Own bookstore will be on site for those wanting to buy a copy. Dr. Schalk will talk briefly about the book and sign copies around 6:30pm. Afterward, everyone is invited to stay and celebrate. Light snacks will be provided, drop in any time. The venue is wheelchair accessible for entry. Please come scent-free to this event.